The thing I find most challenging about being productive as an artist is finding, and not easily losing, the time to immerse myself in the cosmos of stimulating things in a directed enough way to draw from. I am sure it will be the same for many whether it is the latest found TV series and movies, subjects you want to dive into or places and activities you want to experience, there never seems to be enough time in the day. Especially when life starts calling with it’s responsibilities and obligations. Well first of all, Since time wasted is time you will never get back, it is important to spend it wisely! Remember that somethings that are urgent are not necessarily important, so make sure you put the right things on your priority list. If you allow people to, they will delegate enough tasks to you that you will spend all your time building their dreams and not your own. It’s OK not to answer your phone or not check your emails until the end of the day. 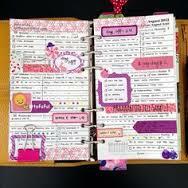 The most useful thing I have found is the use of a day planner and they don’t have to be boring! 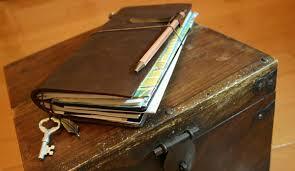 from travelers notebooks to Filofax hobbyists there are planners and ways of organizing time for everyone to use. The key word there is “use!”. It allows us to track our time to; get that “to do” list done, complete goals, remember important dates, and even guilt trip yourself into getting more done when you look back at what you know you could have done yesterday but didn’t. It enables you to find that time to scout cool art on Pinterest, watch those seasons of doctor who and read or even write that book you’ve been wanting to and even have the time to work in your sketchbook! However, scheduling is not enough by itself. A better term for time management is self management. Self management is built on good habits, the habit of getting up early, the habit of getting things done on your list and the habit of staying on top of your time. Which is where eye catching and visually stimulating planners like these come in! 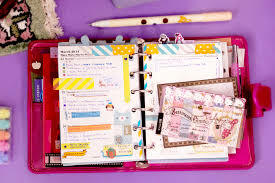 If you Love your planner you will be more likely to open it up and look inside at the days date, thus becoming more aware of your plans and be able to see if you are using your time wisely rather than wasteful. My best advice for this is to make it as gorgeous as you can and carry it on you at ALL times! And whether it’s a rainbow candy colored Filofax or a soulful Midori travelers notebook, when you find what suits you you’ll also find yourself being far more productive! ← Collaborated Creatures: An Artist Game!